Absolutely Do Not Miss Big Hats and Girlfriends. Friday, February 8, 2019 at 10 AM – 2 PM @ Hilton Dallas/Rockwall Lakefront; 2055 Summer Lee Dr, Rockwall, TX 75032. This Hat is most likely to win you an award in any of the categories at this Rockwall Event! Even if you ren’t ready for something quite so outrageous, Dallas Vintage Shop has hundreds of different hats in all colors and sizes to suit your needs! 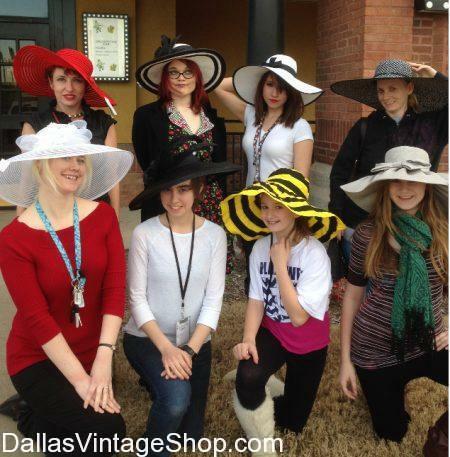 Find Endless Hat Ideas and Possibilities for the Big Hats and Girlfriends 2019 Friday, February 8, 2019 at 10 AM – 2 PM @ Hilton Dallas/Rockwall Lakefront; 2055 Summer Lee Dr, Rockwall, TX 75032. Find Elegant Tea Party Hats to fit any budget. 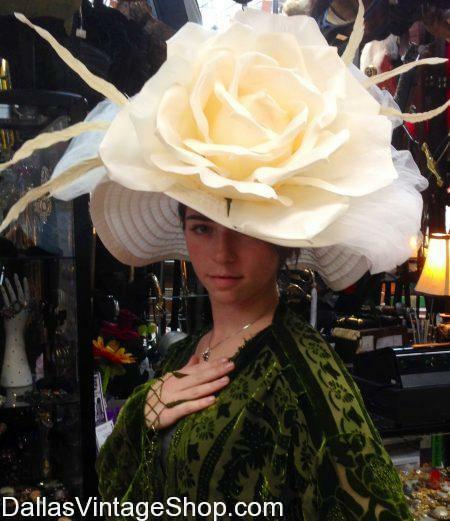 From Elaborate and over-the-top Flowers to simple and understated Cloche Hats, Dallas Vintage Shop has it all! We Present this Update for Rockwall Women’s League Annual Luncheon 2019 Friday, February 8, 2019 at 10 AM – 2 PM @ Hilton Dallas/Rockwall Lakefront; 2055 Summer Lee Dr, Rockwall, TX 75032. We have so many Stunningly Gorgeous hats to choose from! 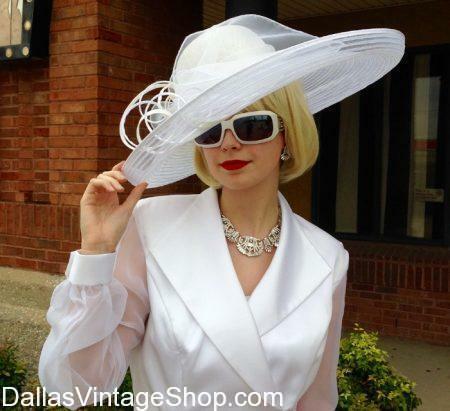 Whether you are looking for an outrageously large hat, or something fun and floppy, or classic and elegant, Dallas Vintage Shop has what you need! You are in 2020 TBA (Q1) Big Hats and Girlfriends category.